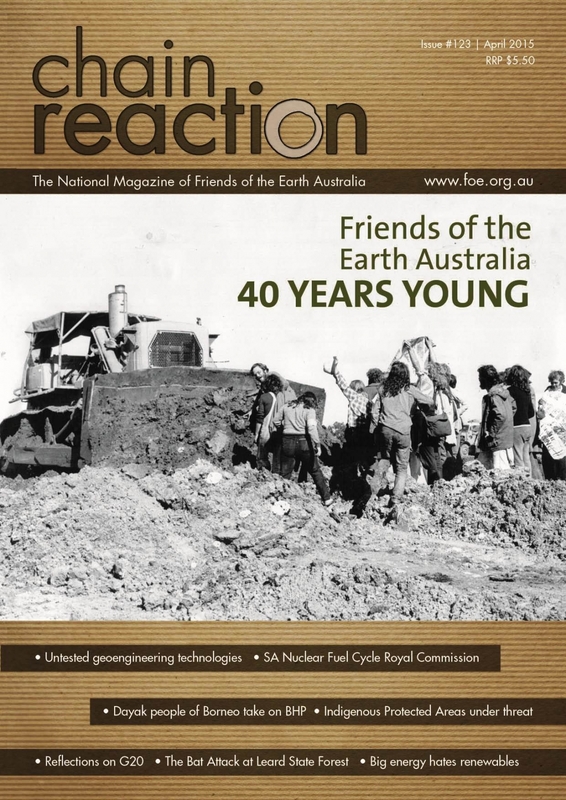 Published three times a year, Chain Reaction is the national magazine of Friends of the Earth, Australia. 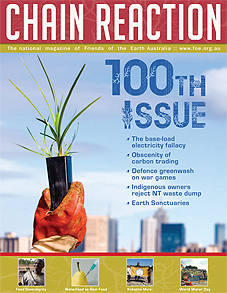 Published since 1975, Chain Reaction has built up a loyal audience and earned a reputation as a progressive magazine at the forefront of environmental and social debates in Australia. You can read a short history of Chain Reaction here. 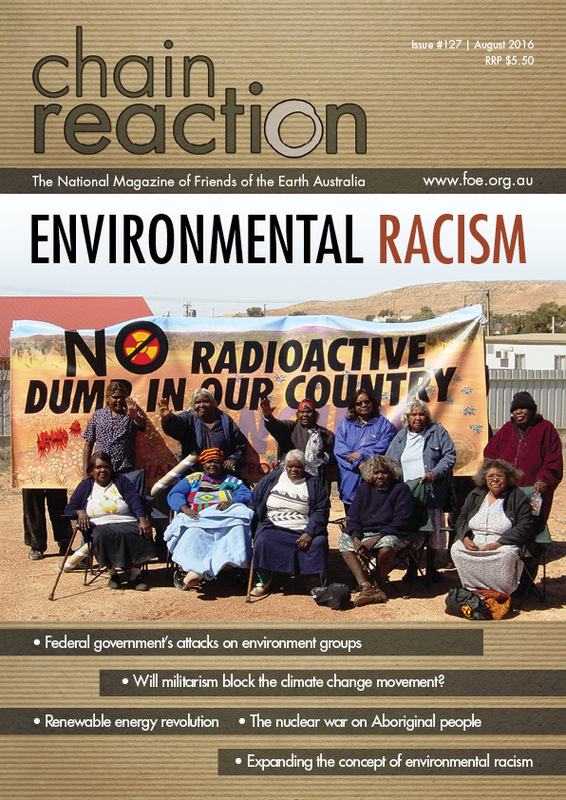 Subscribe to receive printed copies of Chain Reaction here! To download Chain Reaction #127 (August 2016) as a PDF file click here or to read articles online use the links below. 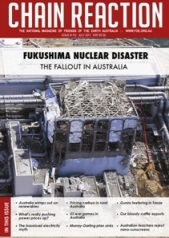 Click here to download current and past issues of Chain Reaction. Click here for advertising info. 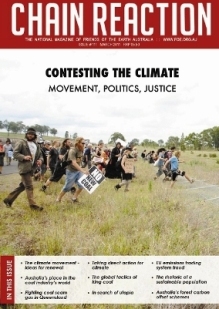 To pay by credit card, you can post your card details, or email details to chainreaction@archive.foe.org.au or phone the Friends of the Earth office (03) 9419 8700. 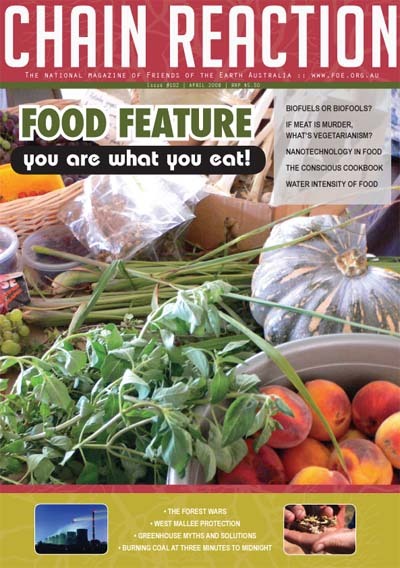 Click here for a subscription form to fill in then post or email. 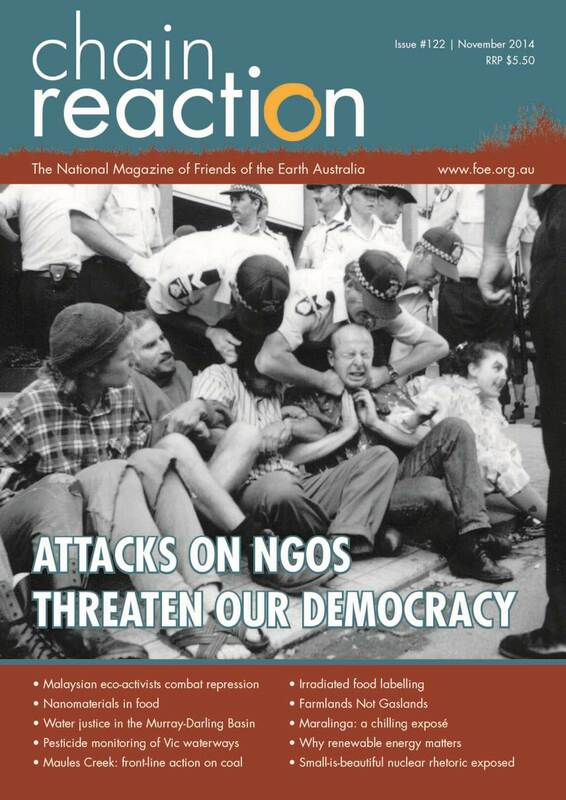 Jim Green, ph 0417 318368, email chainreaction@archive.foe.org.au, PO Box 222, Fitzroy, Vic, 3065. 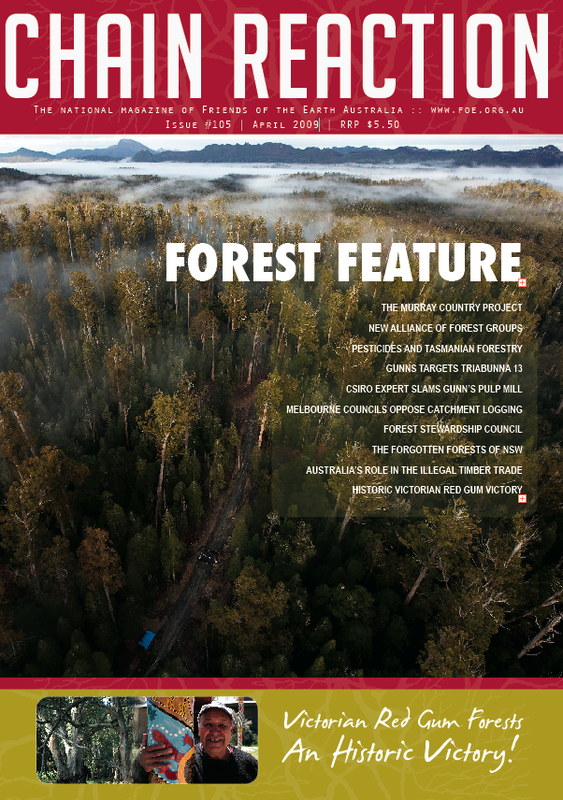 "Chain Reaction is a worthwhile and accessible avenue for identifying teacher and student resources as well as keeping up to date on environmental issues." -- Journal of the Geography Teachers' Association of Victoria, March 2011.